Works are now complete refurbishing an office space within West Yorkshire. The project began by removing the existing partitioning and interiors leaving a blank canvas to design the new space. The partitioning systems we used on this refurbishment suited each individual space. The Boardroom and Meeting room areas needed to be as private as possible, for this we used Tenon Fire and Sound 75mm with additional insulation with the suspended ceiling void. Each partition wall for these areas was fully solid ensuring the spaces were as private as possible. The office areas had a slightly different specification with the walls being built to a solid/glass/solid design. Double glazed windows were built within the centre of the solid module allowing for natural light into the space. The solid plasterboard around the glass added some element of privacy. 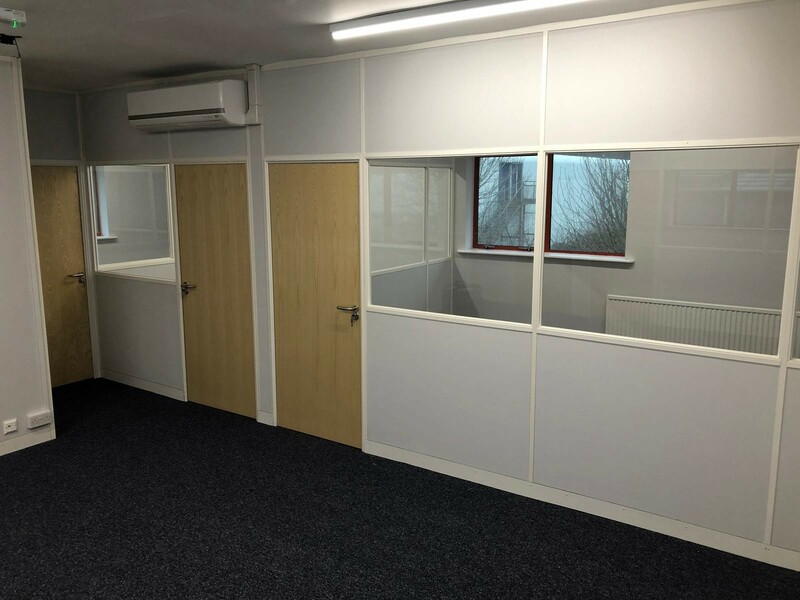 For all the areas the solid partitioning modules were finished with a Tektura vinyl in a light grey with cover trims hiding the joints. 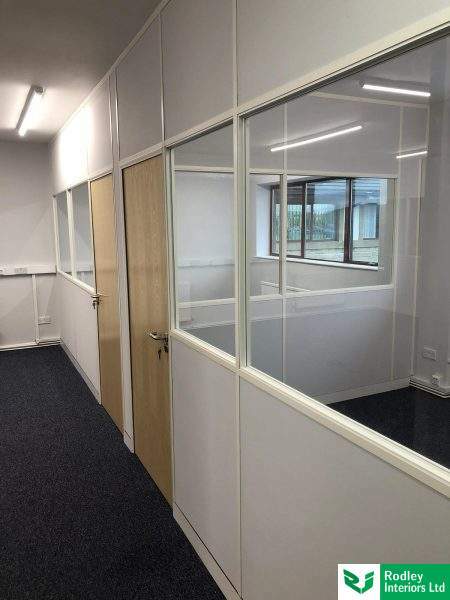 Refurbishing an office space such as this doesn’t just involve the install of new partitioning. We also fitted new heavy-duty carpet tiles throughout along with non-slip vinyl to the newly formed kitchen areas. The refurbishment works also included electrical, plumbing and data works. Case Study: Leeds Office Fit Out A large Leeds office fit out project installing new budget partitioning, glass partitions, suspende ceilings and external windows.